From classic gothic rock to more innovative post goth tunes, fans will just love the broad spectrum of dark guitar tunes the new album ‘My name is legion for we are many’ has to offer. From the catchy ‘Sunflower sutra’ and the harder ‘Tension’ to the classic goth rocker ‘Bruised’ or the shiny ‘Harvest moon’, the second album never fails to surprise and entertain. ‘Cold fever’ will take you on a sinister post rock adventure, while ‘System failure’ brings you that pure and unadulterated goth sound injected with some shoegaze. 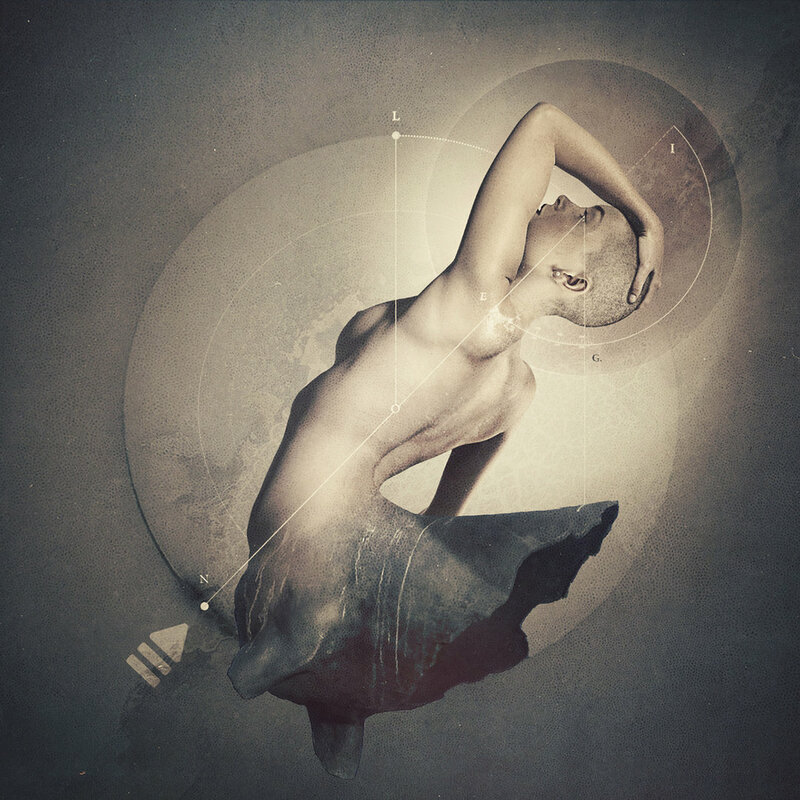 Melancholy was redefined in the heartbreaking 8 minute journey of ‘Detached’, probably one of the most impressive tracks by the band to date. Again, the songs deal with pain and desolation. Still fighting inner demons (hence the album title), John Wolf also faces the outside world on the new album. “While the previous album focused mainly on inner thoughts, the new songs address a certain ‘YOU’ being present in past and future,” John Wolfs clarifies. “I wanted the lyrics to be universal so people can resonate with the stories and feelings in the songs.” So yet again, the music of YOUR LIFE ON HOLD offers that typical consoling and comforting characteristic hidden in the darkness. 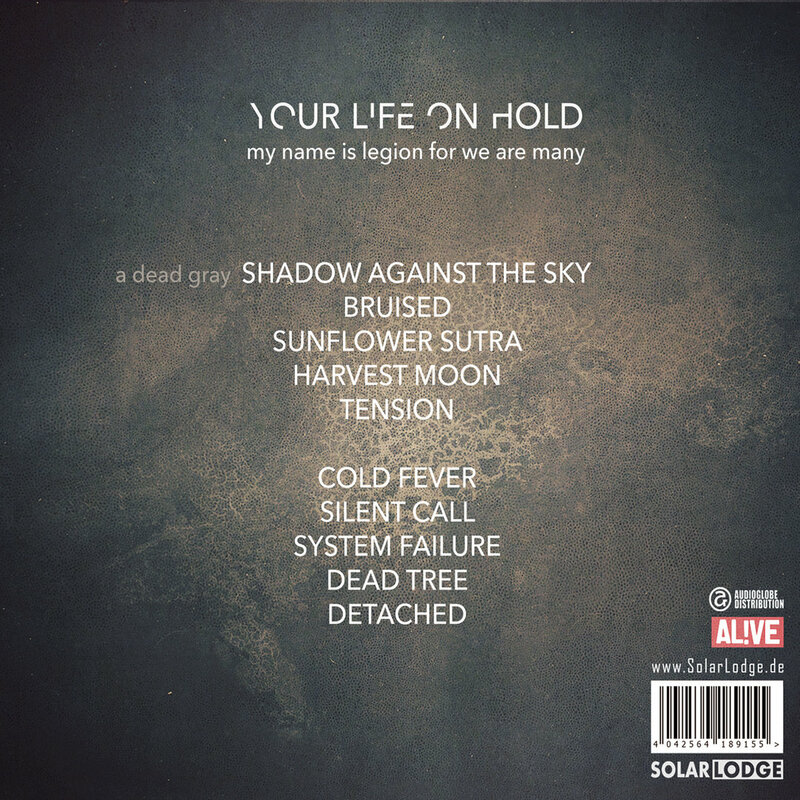 On stage YOUR LIFE ON HOLD is a full combo of six bringing the gothic rock sound to life. With this second album being released on Solar Lodge, the band is working hard to strengthen its place in the current gothic rock scene.